With the Fujifilm GFX 50R about to go on sale to join the existing Fujifilm GFX 50S medium format mirrorless camera, we have just been told the news that there is a new super-fast lens for the system – and it is not a Fujinon. The new record-breaking lens is the Mitakon Speedmaster 65mm f/1.4 from Chinese optical specialists ZY Optics. With an equivalent focal length of around 50mm, this standard prime is two full stops faster than Fujifilm's own GF 63mm f/2.8 R WR. The super-wide maximum aperture of f/1.4 creates what the manufacturer is describing as a "bokeh monster". The manual-focus metal-cased lens is constructed from 11 elements in seven groups – and has a nine-blade diaphragm. 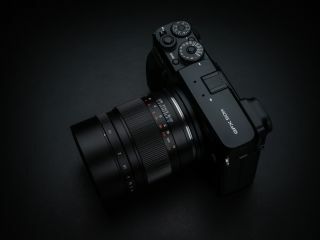 The lens includes two Ultra-low dispersion (UD) and two High-reflective index (HR) elements to help deliver what the manufacturer claims as "exceptional image quality to meet the demanding 51.4MP sensors". Manufacturer sample image: Shot with the Mitakon 65mm f/1.4. Image by Jonas Rask. With a diameter of 82mm and measuring 96mm when focused at infinity, it weighs in at 1,050g. It has a minimum focusing distance of 0.7m, giving a maximum reproduction ratio of 1:4. The Mitakon Speedmaster 65mm f/1.4 lens is available now for a recommend retail price of $799.